Well FB Family, you asked for it and its RAINing again! BACK BY POPULAR DEMAND is RAIN Pryor, daughter of the legendary funny man, Richard Pryor, and the star of the one-woman stage play, Fried Chicken and Latkes! 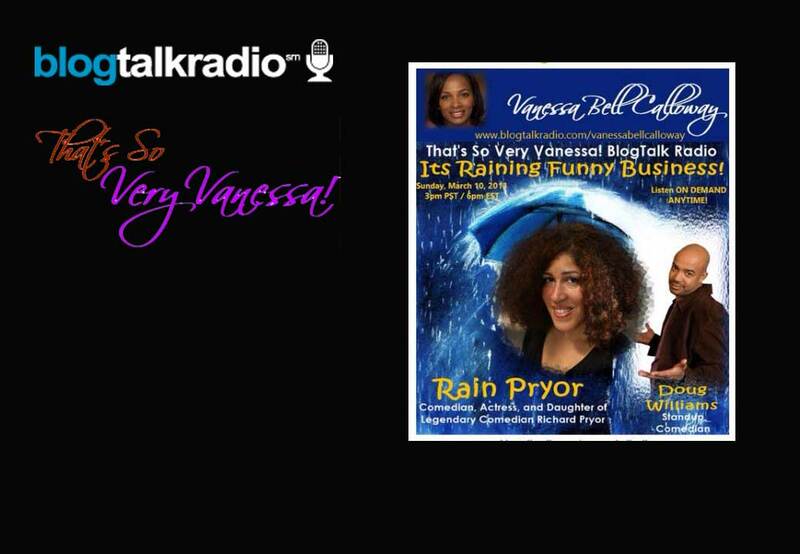 Tune in today, July 28, 2013, at 3:00 pm PST and 6:00 pm EST to That’s So Very Vanessa! BlogTalk Radio. Comedian Doug Williams also joins us for a funny and enlightening look at his career!